Sign up for our FREE, easy-to-use payment calculator to help you calculate the potential costs associated with your Invisalign treatment at one of our practices in Delta, Surrey or Langley. Complete the form below to sign up for the FREE Straight Smile Centres Invisalign Cost Calculator. The Invisalign Cost Calculator is a useful tool that will give you a rough estimate of the costs you may incur if you choose to undergo Invisalign treatment. However, there are many factors that may impact the ultimate cost of your treatment. Only a qualified Invisalign provider can give you an exact quote. Contact Straight Smile Centres today for an assessment! Invisalign treatment for adults may take somewhat longer than it does for teens, because adult's teeth are more firmly set in place. 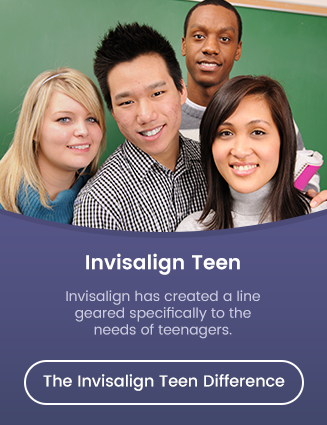 Teen teeth are a bit more malleable and susceptible to manipulation via orthodontics. The type or severity of your misalignment problem can have an impact on the cost of treatment; less severe or complex problems typically require less time to correct. The number of aligners necessary to correct your alignment problem is directly related to the cost of treatment. The more aligners you need, the more treatment will cost. The number of aligners you need is affected by age, the severity of your misalignment, and your compliance to prescribed treatment. If you do not comply fully with the treatment details prescribed by your dentist, it could cause treatment to take longer, and it could cause damage to your teeth as well. This factors will have an impact on the ultimate cost of your treatment, especially if damage has to be corrected, or new aligners made. Everyone is different, and so the ultimate cost of your treatment will be affected by your unique needs.